The Michigan Curmudgeon: Breaking: Michigan Dems File IRS Complaint Over Land Family "Charity"
Breaking: Michigan Dems File IRS Complaint Over Land Family "Charity"
The I.R.S. is probably a little gunshy about investigating tax avoidance schemes involving political campaigns (and Lois Lerner is still on administrative leave), but Michigan Democrats nonetheless are going after the tax-exempt World Mission charity. The organization, created by Terri Lynn Land's family, got caught doing a little campaigning on her behalf. LANSING – The Michigan Democratic Party today called for an IRS investigation into Republican Terri Lynn Land using her family charity, World Mission, as an extension of her campaign. 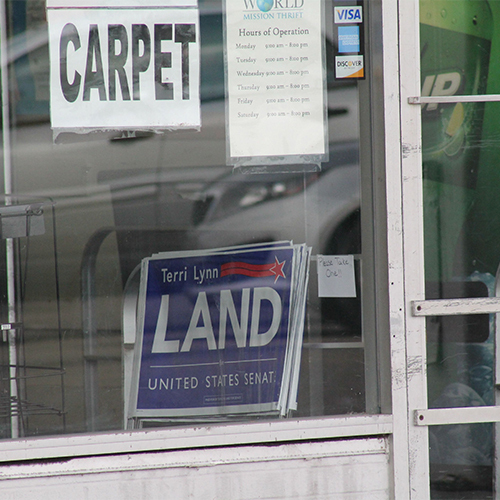 Democrats held a press conference outside the World Mission store in Lansing, where news reports show the charity trying to recruit supporters with Land’s campaign yard signs. As a tax-exempt organization, the IRS prohibits World Mission from advocating for candidates. MDP also sent the complaint to the Michigan Treasury, per an IRS suggestion. Land is potentially self-funding $3 million illegally, but why won’t she release her self-funding transactions? Land pays 2.2 percent in taxes despite being one of the wealthiest candidates, but admitted she files separately from her husband for political reasons. Why won’t she release her husband’s taxes? Land is hiding her business experience working for her family’s business, Land & Company. What is her true business experience? Land receives special perks from Land & Co. like a company car and cell phone, but is she paying income tax on the benefits? Land is potentially breaking the law by renting two campaign trucks from her brother in law below fair market value. Why won’t Land say what she pays for rent or what she thinks fair market value is for the trucks? Land admitted she was in contact with Super PACs – a violation of federal law – but why won’t she say what they discussed? Land’s campaign lawyer, Charlie Spies, started a Super PAC to secretly funnel millions and launch negative attacks. If Land says she isn’t involved with the Super PAC, why won’t she support real-time disclosure? And now, Land is using her charity as an extension of her campaign, but why won’t she discuss World Mission or even say whether she’s donated to the family’s charity? "Michiganders are fed up with Republican Terri Lynn Land continuing to potentially break the law to further her political ambition as she refuses to answer serious questions from independent experts. Now, independent experts are raising concerns that Land is using her charity, World Mission, as an extension of her campaign which violates IRS law," said Kevin McAlister, Michigan Democratic Party Senior Communications Advisor. "Michiganders deserve the truth from Ms. Land - on her charity, her potentially illegal self-funding, and her business experience - but she refuses to answer straightforward questions, so MDP is calling for an IRS investigation into Land’s charity. With less than six weeks until Election Day, Ms. Land needs to stop hiding in her bunker and start addressing the controversies swirling around her." The Huffington Post recently examined World Mission and Land’s close ties to the charity. 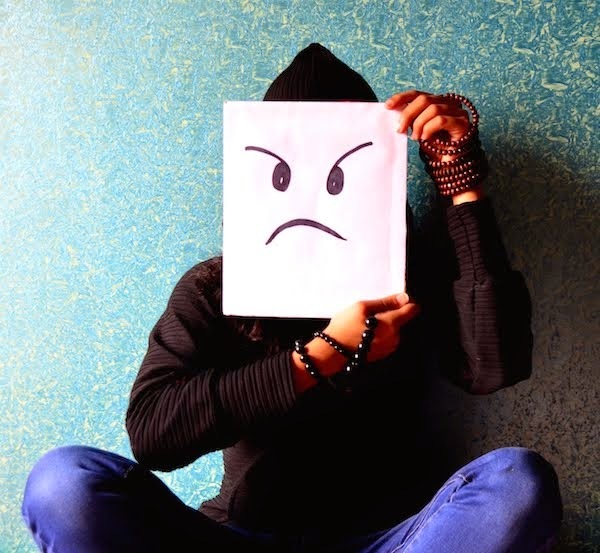 Then, the Arab American News noted that World Mission promotes intolerance by calling Jews, Muslims, Hindus, and Buddhists "obstacles" that must be overcome to spread Christianity. World Mission is run by Land’s father, husband, and brother in law – all owners of the family’s business, Land & Company. Land & Co. got tax breaks by loaning millions to World Mission, in addition to office space, supplies, and carpeting. MDP has also learned that World Mission outsourced to China the production of talking Bibles in 2003. The group, financed by Land's family, uses the Bibles to reach non-Christians.